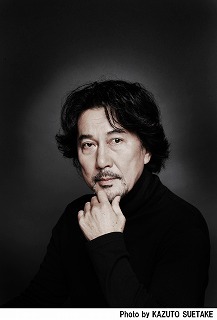 The 13th annual Asian Film Awards (AFA) announced the winners, as well as presenting this year’s Excellence in Asian Cinema Award to renowned Japanese actor Koji YAKUSHO, at the AFA Ceremony on March 17. The award ceremony was held at TVB City in Hong Kong by the Asian Film Awards Academy (AFAA), consisting of three major international film festivals in Asia: the Tokyo International Film Festival (TIFF), the Busan International Film Festival and the Hong Kong International Film Festival. 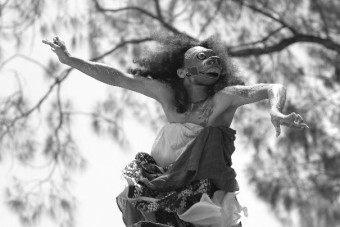 The 13th AFA attracted participants from all over Asia and was a great success. Many nominees from Japan were on hand for the event, including actor Koji YAKUSHO from The Blood of Wolves, director KORE-EDA Hirokazu, actress Sakura ANDO, music composer Haruomi HOSONO and production designer Keiko MITSUMATSU from Shoplifters, director and actor Shinya TSUKAMOTO from Killing, actress Erika KARATA from ASAKO I & II, and costume designer Kazuhiro SAWATAISHI and visual effects director Katsuro ONOUE from Punk Samurai Slash Down. It was also an enormous honor for AFA to have Academy Award and Tony Award nominee Ken WATANABE as a Celebrity Juror. For the full winners’ list, please refer to down below. Koji YAKUSHO came up on the stage to receive his Excellence in Asian Cinema Award trophy from producer Terence CHANG and delivered a speech in English. 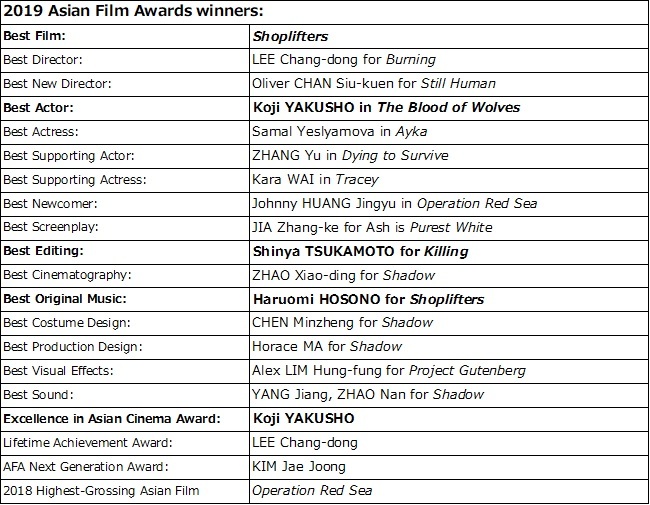 Haruomi HOSONO won the Best Original Music Award for his music for Shoplifters, and Koji YAKUSHO won the Best Actor Award for The Blood of Wolves. 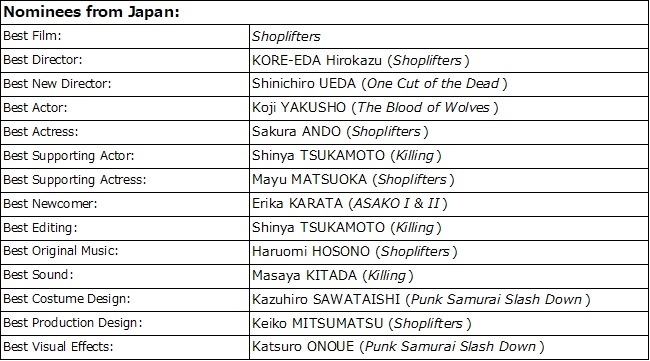 The Best Film Award was given to Shoplifters, directed by KORE-EDA Hirokazu, and all the nominees of the film came up on stage and expressed their happiness. Thank you. AFA’s award ceremony is more about reuniting and deepening relationships with respected Asian filmmakers than the award results. But it’s also nice to receive the award. I was remembering that I attended AFA for the first time with Kirin Kiki, who passed away last September. I will inform this great news to our staff and cast who couldn’t come to the ceremony, including Ms. Kirin, when I get home and visit her grave. I hope that they will be happy. And I would also thank to everyone on my team and share this award. This is a great honor. I am actually not comfortable with this kind of gorgeous venue. I’d rather disappear into the crowd. But I told myself to accept this since I’m an old guy now. Maybe I have this backwards, but I’m going to work hard to be the level of actor who deserves this award. I sincerely thank the Asian Film Awards for giving me this motivation. I’m really surprised. I have been working on editing for a long time, and it is the least fun part of the film, but I’m never sure when it will be over, so it was very challenging this time again. Actually, Chu Ishikawa, with whom I’ve collaborated to make the soundtrack music together for 30 years, passed away before the editing of this film. I listened to all the songs that Mr. Ishikawa had made until then, edited them, and also used the music that was in Mr. Ishikawa’s writing room to fill in the missing parts. Mr. Ishikawa didn’t see this film, but he did make its music. I remember that I was able to interact quietly with him during the long editing period. Thank you very much. I really hadn’t thought about winning this award. AFA is giving me this award to make me think how lucky I am, and I feel like I have used up all the luck in my life to win this award. It is very scary and alarming. Talking about the production crew of The Blood of Wolves, I think they will also feel very surprised, but they will feel happy for me. I’m very lucky and happy to win this award. This award will arouse more interest in The Blood of Wolves. I think more people will go to see it. I will be happy if there are expanded audiences for our film. Thank you. Thank you very much. It is very surprising, and it is my pleasure to be here. The music of Shoplifters is very limited and simple, but they (AFA) found me. It’s lucky for me. I will work so hard. Thank you.